Meet Our 2019 Boston Marathon Team! The Boston Marathon is a time honored tradition here in our home city. On the third Monday of every April, more than 30,000 runners make the 26.2 mile journey from Hopkinton to Copley Square while half a million people cheer them on along the way. Running a marathon is an extraordinary feat in and of itself, but it’s the charity runners who truly go the extra mile — raising tens of millions of dollars every year for more than 200 nonprofit organizations. We’ve been grateful to receive marathon bibs through the John Hancock Nonprofit Marathon Program every year since 2016, and every year we’re blown away by the commitment demonstrated by our small but mighty marathon teams. This year’s team aims to raise a combined $35,000, which will directly support our mission of alleviating the environmental effects of food waste while addressing food insecurity. You can support these amazing individuals by donating directly to their fundraising page, or by grabbing a Tito’s Handmade Vodka cocktail at a number of bars and restaurants in Greater Boston (click here for a full list). Read on to meet our marathoners! How long have you been running? I have two older brothers, so I guess I’ve been running my whole life. I mostly run to get outdoors and prefer trail running, though have not run a Marathon before. ﻿Why did you decide to run for ‘Spoonfuls? I have loved food for as long as I can remember, and have worked in some facet of the food industry since I was 14 years old. Across all of my food service experiences, I have seen how food can bring people together, can serve as the conduit for caring. Lovin’ Spoonfuls holds this value to its core and rescues thousands of pounds of food a day that is destined for the landfill, and delivers it to underserved communities of Greater Boston with dignity & respect. It’s an honor to work with Lovin’ Spoonfuls every day, and I’m excited to participate in the Boston Marathon to continue to support their work. How do you plan to celebrate post-marathon? First and foremost, a long nap will surely ensue. After that, I’ll start training for the next adventure: my wife and I are expecting a baby in early June! So the next Marathon training regiment will include late night diaper runs and endless bottle cleanings, capped off with warm naps with our little baby bean. Do you have any fundraisers coming up? We have several restaurants partnering with Tito’s Handmade Vodka to run a month long cocktail special to benefit Lovin’ Spoonfuls. $1 of each cocktail sold will go towards our fundraising goal. 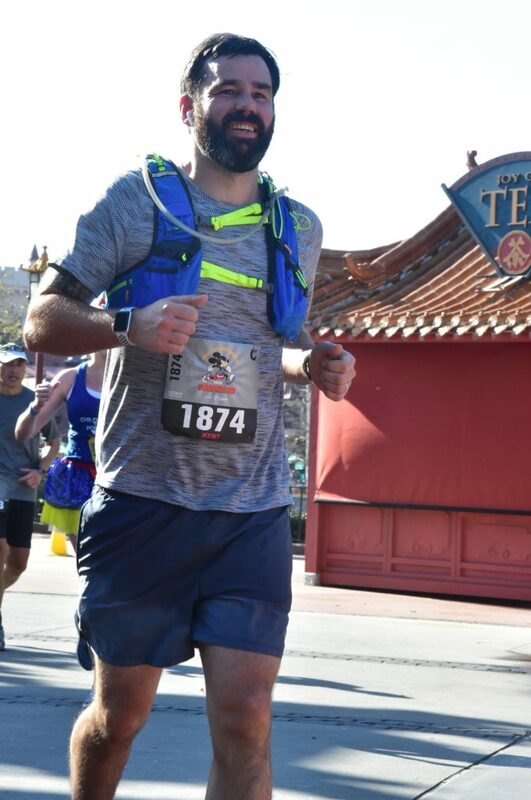 Last summer my wife and I decided to plan a trip to Disney World during the 2019 Marathon weekend. She wanted to sign up for the half marathon, and being the competitive person I am, I needed to one up her and register for the marathon. I started running last summer as a way to get in shape with the goal of the Disney Marathon in the back of my mind. 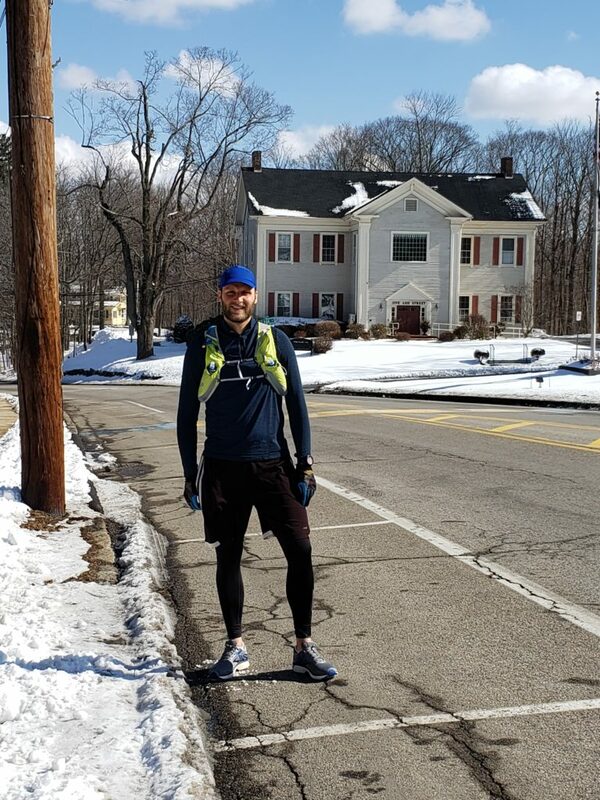 I enjoyed the running so much that I ended up signing up for and completing my first marathon in Keene, NH last September. I have thoroughly enjoyed both marathons I have run, and when presented with the opportunity to run Boston, and to raise money for Lovin’ Spoonfuls in the process, I couldn’t pass it up. Why did you decide to run for ‘Spoonfuls? I have known Ashley for many years now, and have been inspired by what she and the ‘Spoonfuls team have accomplished over the last several years. Several of my family members have been involved in the organization in ways over the years, including my mother-in-law who sits on the board of directors, and I am excited to have an opportunity to be involved in this unique way. Post-marathon, I am excited to celebrate with a relaxing night at home with my wife and two kids… and hopefully some Myers & Chang take out delivered to us by the one and only Ashley Stanley. How long have you been running? Have you ever run a marathon before? I’ve been running since I was about 10 years old. We had a great community youth athletic association in the town I grew up in. Track and field was one of the programs. I always chose to run the longer distance races. Shorter distances and hurdles were not my thing. I think I’m the only person who ever broke an arm jumping over a hurdle. True story. This will be my 4th marathon, first official Boston. If I had a bucket list, running the Boston Marathon would be at the top. Why did you decide to run for Lovin’ Spoonfuls? I wanted to run for Lovin Spoonfuls because I have seen first-hand that the food rescuing they do truly has a positive impact in this community. They have come so far in nine years, but so many people are still not aware of the food waste problem. I want to help raise awareness of the work Lovin’ Spoonfuls does to solve for this. I hope that by running, not only am I raising money to help them to continuing doing the work they do, but I can also bringing attention to just how important this organization is. I’m so excited to see family and friends along the route and I look forward to being with them after the run, most likely over really good food and champange. However, the celebrating won’t stop that night. 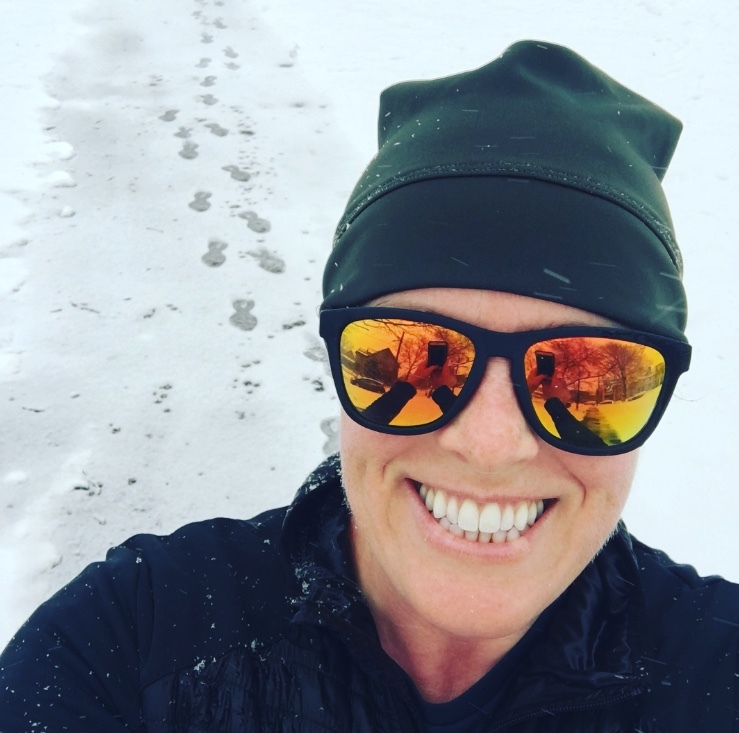 There are so many friends in the restaurant community who are supporting me in the run, so in the days following Marathon Monday, you can find me hobbling around to all of their restaurants to celebrate with them – most likely in the form of hugs and dessert. Do you have any fundraisers coming up? Let us know how people can support you! On Sunday, March 31st there is a yoga and brunch event at La Brasa in Somerville. I’ll be teaching a 60 minute sculpt style yoga class followed by brunch. If you take the yoga class, all of the La Brasa brunch food menu items are 50% off! It starts at 8:45am with a suggested donation of $25. There are so many restaurants who are supporting the Lovin’ Spoonfuls marathon team by having a marathon cocktail on their menus between now and Marathon week. The generosity of support is so touching. Here’s a full list of restaurants who are supporting, go visit them!